A worthy entry in the cozy genre. I went to the store with a list of three books on it, all cozies. This was not one of them but cozy? bookstore? Paranormal? I couldn't resist! Just wanted to read a couple of chapters. Finished within 24 hours of purchase so yeah, I guess you could say I liked it. Lots of good guys, lots of bad guys, sometimes they were the same. Love the relationship between the cousins and am looking forward to the next book in the series. purchase link at Berkley available in print and ebook format. 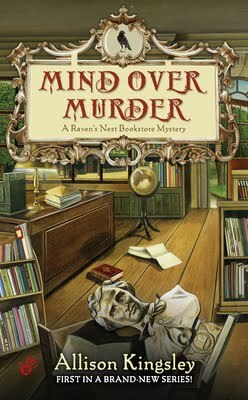 Sounds like my kind of cozy mystery. Will have to check it out.